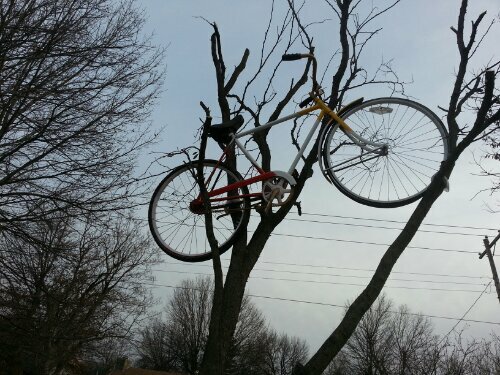 I saw this bike while buzzing around Enid’s great new trail system. It looks to be an old kids sized bike. The owner painted the frame only. And the rest is a bit rusty. But that is ok. Because its great to see land owners welcome or greet folks as they pass by. It just shows how friendly you can be when you get out of your car and slow down a bit. With spring knocking on our door, I’m excited to see what other land owners have in store for their gardens along the trail. Have you see anything interesting while using the trails?